"The totality of the circumstances creates the appearance that Crossfire was politically motivated. Since an attempt by federal law enforcement to influence a presidential election “shocks the conscience,” any prosecutorial effort derived from such an outrageous abuse of power must be suppressed." 6/22/18, "Mueller’s Fruit of the Poisonous Tree," Wall St, Journal, opinion, David B. Rivkin Jr. and Elizabeth Price Foley (print edition, Sat. 6/23/18) "Mr. Rivkin and Ms. Foley practice appellate and constitutional law in Washington." "It makes no difference how honorable he is. His investigation is tainted by the bias that attended its origin in 2016." "Special counsel Robert Mueller’s investigation may face a serious legal obstacle: It is tainted by antecedent political bias. 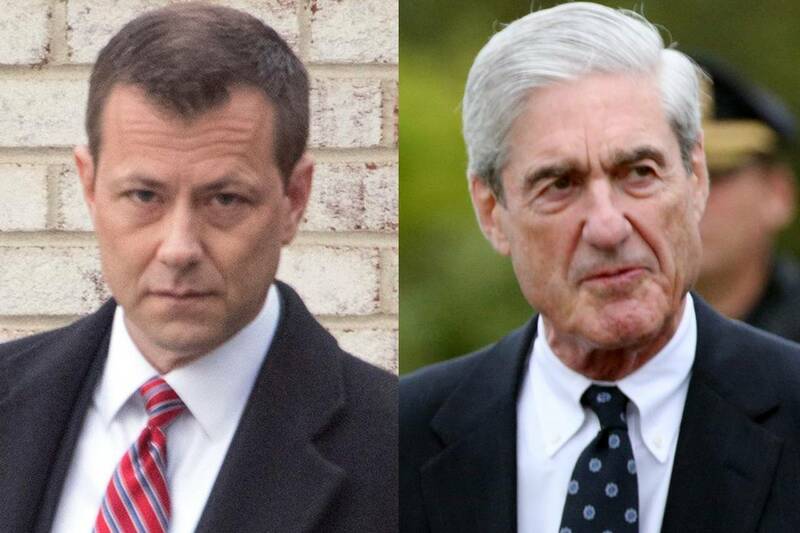 The June 14 report from Michael Horowitz, the Justice Department’s inspector general, unearthed a pattern of anti-Trump bias by high-ranking officials at the Federal Bureau of Investigation. Some of their communications, the report says, were “not only a biased state of mind but imply a willingness to take action to impact a presidential candidate's electoral prospects.” Although Mr. Horowitz could not definitively ascertain whether this bias “directly affected” specific FBI actions in the Hillary Clinton email investigation, it nonetheless affects the legality of the Trump-Russia collusion inquiry, code-named Crossfire Hurricane. It was initiated in defiance of a longstanding Justice Department presumption against investigating campaigns in an election year. And while impartiality is always required, a 2012 memo by then-Attorney General Eric Holder emphasizes that impartiality is “particularly important in an election year,” and “politics must play no role in the decisions of federal prosecutors or investigators regarding any investigations. . . .
No evidence has emerged of Trump-Russia collusion, and Mr. Mueller has yet to bring collusion-related charges against anyone. Evidence suggests one of his targets, George Papadopoulos, was lured to London, plied with the prospect of Russian information damaging to Mrs. Clinton, and taken to dinner, where he drunkenly bragged that he’d heard about such dirt but never seen it. These circumstances not only fail to suggest Mr. Papadopoulos committed a crime, they reek of entrapment. The source of this information, former Australian diplomat Alexander Downer, admits Mr. Papadopolous never mentioned emails, destroying any reasonable inference of a connection between the DNC hack and the Trump campaign. On Sept. 23, Yahoo News’s Michael Isikoff reported the Hill briefings and the Steele dossier’s allegations regarding Carter Page. The totality of the circumstances creates the appearance that Crossfire was politically motivated. Since an attempt by federal law enforcement to influence a presidential election “shocks the conscience,” any prosecutorial effort derived from such an outrageous abuse of power must be suppressed. "Mr. Rivkin and Ms. Foley practice appellate and constitutional law in Washington. He served at the Justice Department and the White House Counsel’s Office during the Reagan and George H.W. Bush administrations. She is a professor at Florida International University College of Law."